Do you need a simple yet sturdy place to store vehicles, lawn equipment, or other outdoor items? This portable garage canopy may be just what you need. 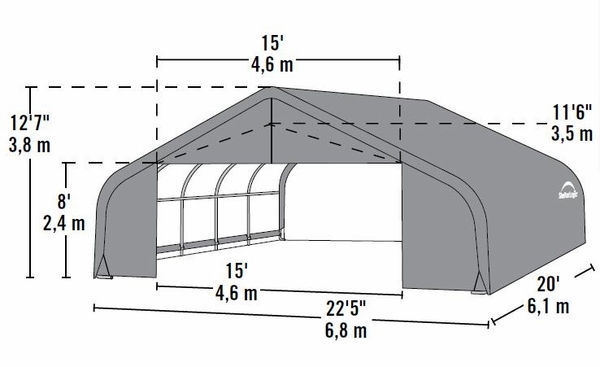 The peak-style garage features a sturdy 16-gauge steel beam that has been field tested to withstand all but the most rigorous weather conditions. The high-grade steel frame is processed with a 13-step Rhino Shield surface preparation and bonded with a DuPont thermoset power-coated finish that is baked on to eliminate weathering, peeling, chipping, and rust. The structure's legs have wide-based foot pads to ensure a dependable base and easy anchor points. 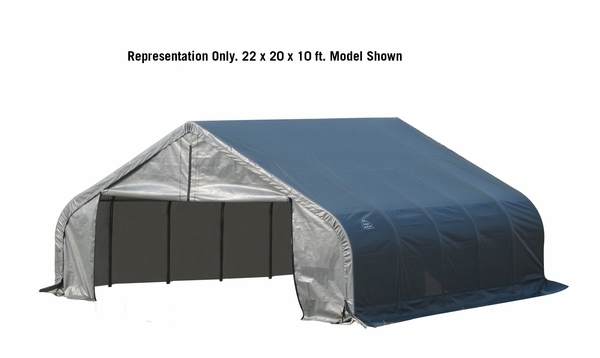 The canopy itself is made of heat-bonded, triple-layer, polyethylene with an enhanced weave to ensure 100% waterproof conditions and is UV-treated inside and out with added fade blockers and anti-mildew agents.